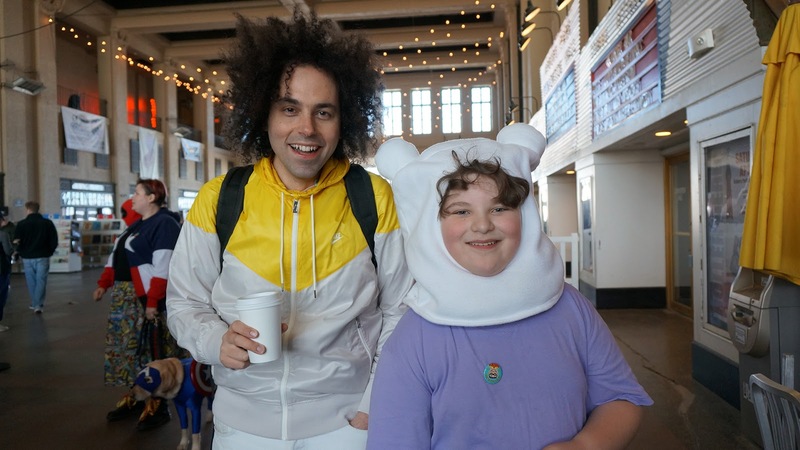 While we took the picture he told his mom that I was obviously dressed as Sideshow Bob from the Simpsons. I don't really know what Adventure Time is, but I liked the way this kid's face looked in the circle. Adventure time is all over Tumblr, I gotta look into what that show is all about.